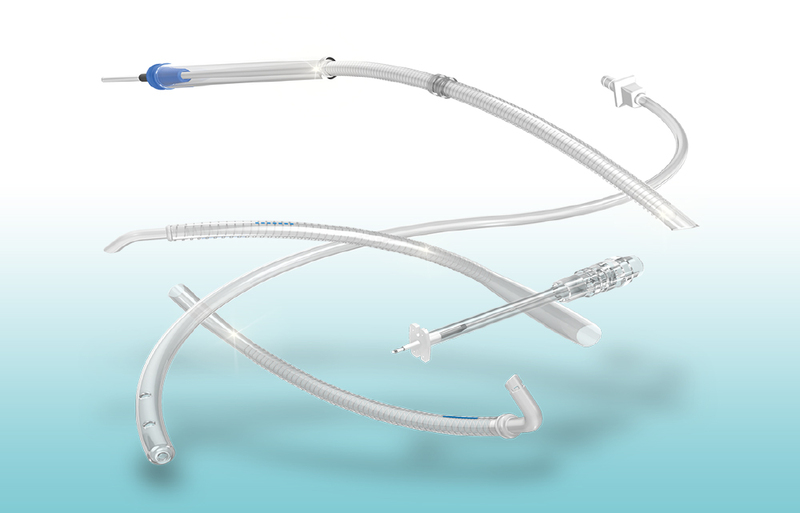 Pediatric cardiac surgery presents a number of unique challenges and LivaNova's extensive line of conventional cannulae can be configured for virtually any sized pediatric patient, from the smallest of children to small adults. We offer pediatric arterial cannulae with both curved and straight tip, available with and without wire reinforcement. We offer the smallest tip on the market (1.5 mm) bent at 135 degrees to accommodate the smaller aortic arch of pediatric patients. Single-stage pediatric venous cannulae are available with both straight and bent tip, and provide optimal venous return. The V132 family is such an example, designed with a central opening and lateral distal holes to improve venous drainage. Pediatric polyurethane cannulae offer optimal flow and improved biocompatibility, with soft polyurethane tubing and micro-thin wall thickness. These cannulae are available in a variety of configurations, including side holes to enhance flow, suture ring for secure fixation, rounded or tapered inducer and more. We also offer pediatric root cannulae for cardioplegia, as well as vents and suction devices for the full range of procedural needs.